Preserve and protect your certificates, pictures, arts and awards with this high-quality frame. 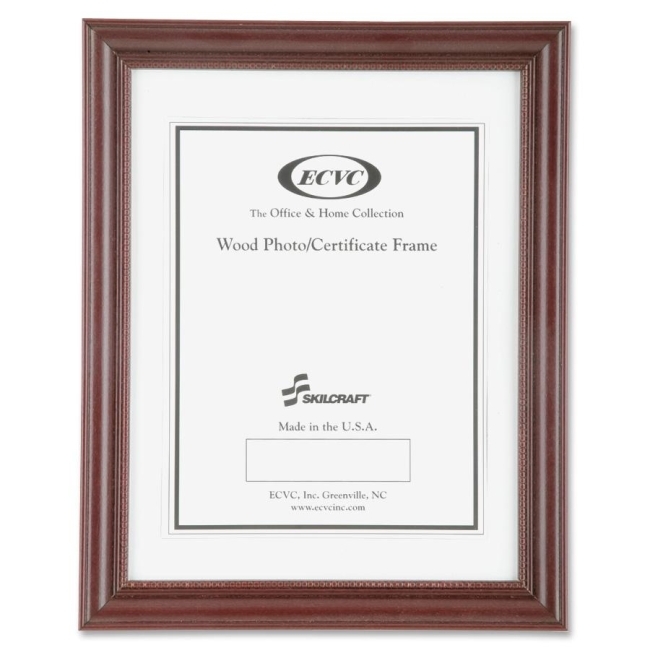 Classic, enduring, ready-made frame features 15/16" cherry molding with raised beaded design and smooth finish. Design allows quick and easy insertion of your award or photo. Mount the handcrafted, solid-wood frame either vertically or horizontally with the pre-installed hangers. The natural woodgrained molding is made in North Carolina of solid hardwood grown in the southeast United States, with three coats of water-based, rich cherry stain and an additional, semi high-gloss, clear coat applied to prevent the finish from fading over time. Frame includes glass front, reversible mat board (black or white), back, and staples.